Planning a hike in the near future? As the Arizona weather cools down, outdoor hiking increases.The Grand Canyon forest rangers conduct a lot of rescues from their trails saving hikers who underestimated the demand it would be on their body. They have some good advice on what to take on a hike. 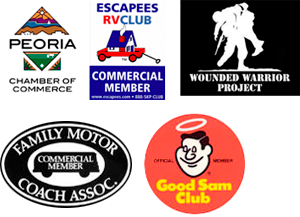 Before you head out on a hike in the Grand Canyon, or hiking trails anywhere, make sure you have everything you need! 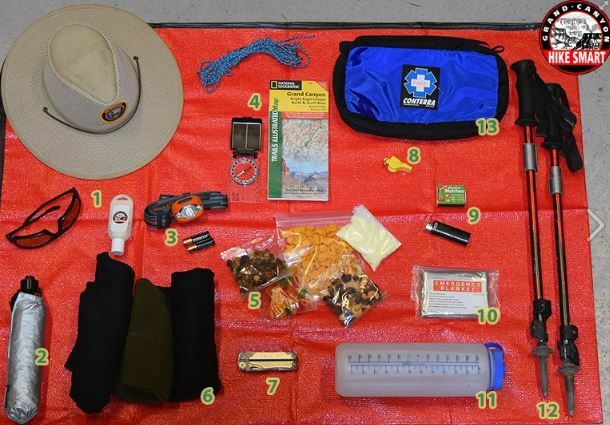 Grand Canyon’s Preventive Search and Rescue (PSAR) Rangers show you what to take in your pack when you head down the trail! These 13 Essentials are the perfect start! Don’t forget to bring your cell phone as well! The most important thing to bring with you is a realistic plan- do not exceed your abilities. It’s always best to be prepared and not need these items than to need the and not have access to these items.